In the spirit of the mission of PTWF, we are always encourage and actively participate, in disseminating information of the love of one human to another when the media is reluctant to cover these stories. Such is the story of the Philippine government's actions, during World War II to save the lives of the Jewish people from the death camps of Europe. 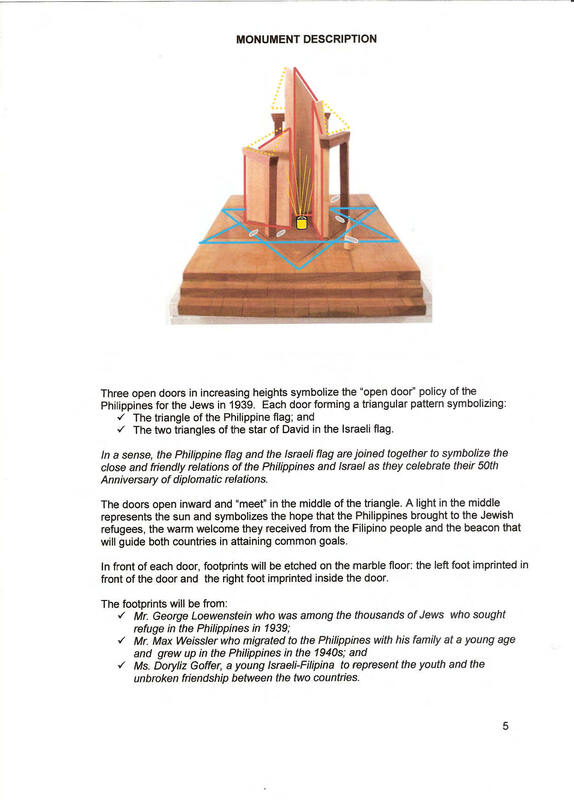 On November 29, 2007 a monument, commemorating the efforts of the Philippine government to save the of the victims of the inhumanities of the Nazi regime, will be dedicated in Rishon LeZion, Israel. The Philippine government issued over 30,000 passports to the victims in attempt to bring these people out from the flames of hatred and persecution. Sadly, only 1000 people were able to get out but message of the spirit of human caring must be broadcast around the world as an example of action rather then apathy. 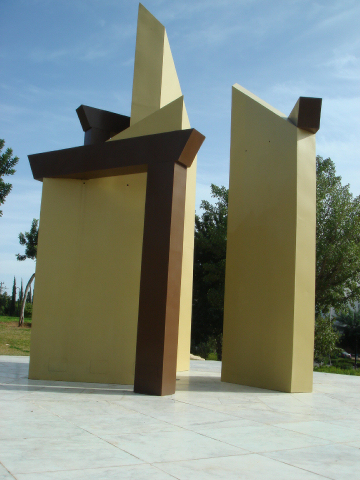 Open doors is the monument, which is being erected in Rishon Israel and PTWF is proud to participate in this effort to educate and commemorate. The primary funds for this magnificent monument came from the Philippine business community and from the individual fundraising efforts of the staff of the Philippine embassy in Tel Aviv. PTWF is accepting donations for the final expenses of this project and the scholarship fund. 100% of the funds collected will go to this most importance recognition.